7th century AD The area around Šibenik is settled by Croats. 9th century Croats build a fortress overlooking the sea, proof that Šibenik is becoming an important port. 12th century A thriving settlement increasingly takes shape below the fortress. 1080 The fortress town of Knin, inland from Šibenik, becomes capital of the Croatian state under King Zvonimir. 1102 Croatia’s monarch dies childless, and the crown falls to the king of Hungary. 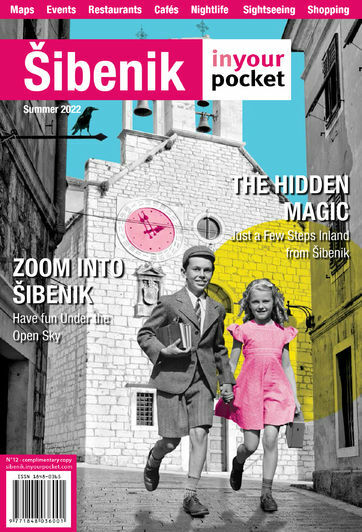 Šibenik continues to flourish in the Hungaro-Croatian state. 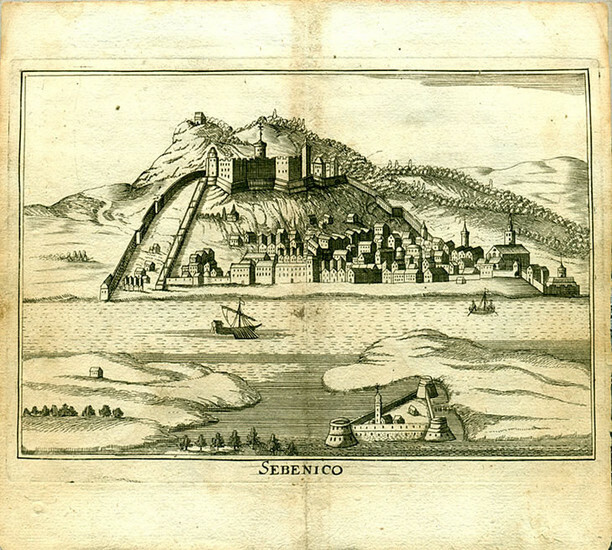 1116 Šibenik is all but destroyed by a Venetian siege. 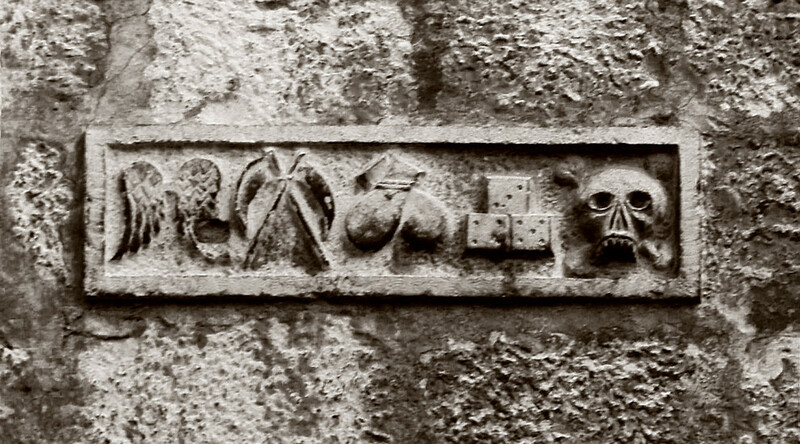 It is re-founded ten years later by refugees from "Biograd", also sacked by the Venetians. 1298 Pope Boniface VIII declares Šibenik a town with the right to its own bishopric. 1409-1412 A three-year Venetian siege culminates with Šibenik’s subjection to the rule of Venice. 1431 Work begins on a new cathedral, culminating in one of the greatest works of ecclesiastical architecture in the Adriatic. 1468 Ottoman Turks advance towards the Šibenik coast, remaining a constant threat for the next two centuries. 1511 An anti-aristocratic revolt led by Juraj Prokić takes over the city, only to be ruthlessly put down by the Venetians the following year. 1522 The towns of Knin and Skradin fall to the Ottoman Turks. 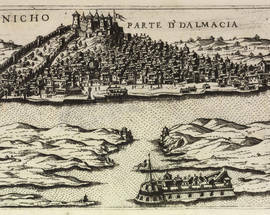 1571 Šibenik contributes a galley to the Venetian fleet at the Battle of Lepanto. 1615 Šibenik-born Renaissance-man Faust Vrančić publishes his book of inventions Machinae Novae. 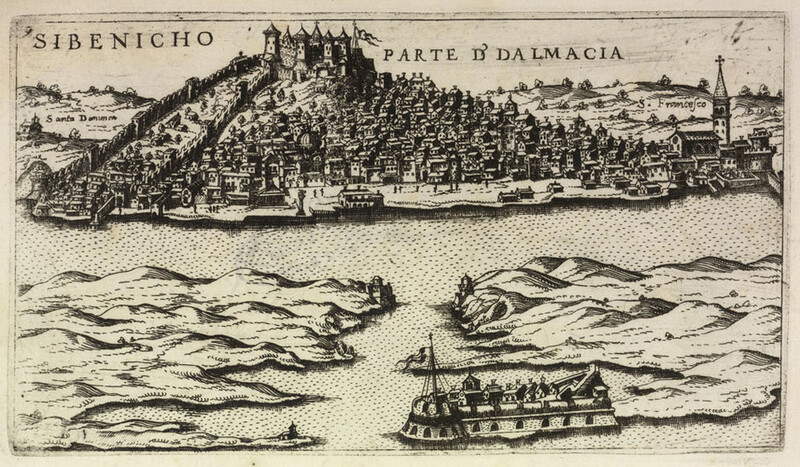 1645-1669 Central Dalmatia is a major front in the so-called Cretan War, a continent-straddling struggle between Venetians and Ottomans. 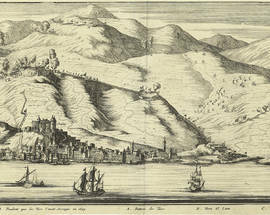 1647 An Ottoman attack on Šibenik is repulsed by troops under Baron von Degenfeld. 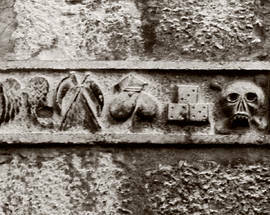 1649 Plague puts paid to three quarters of the city’s population. 1688 Knin is captured from the Ottomans by Venetian forces, with many local Croats serving in their ranks. 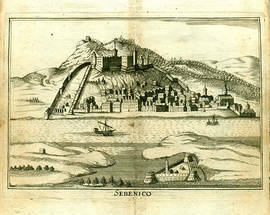 1699 The Peace of Sremski Karlovci confirms Venetian gains, bringing a greater measure of security to the Šibenik region. 1752 The powder store in St Michael’s Fortress is struck by lightning, creating a huge explosion and a fire that spreads throughout the city. 1797 The Venetian Republic collapses, and Šibenik recognizes the rule of Austrian Emperor Francis II. 1802 The birth of Nikola Tommaseo, the Italian-language writer who collects Dalmatian folk songs. 1806-1813 Šibenik forms part of the French-ruled Illyrian Provinces. With the defeat of Napoleon Šibenik returns to Austrian control. 1873 The People’s Party under Ante Šupuk wins municipal elections. Croatian replaces Italian as the principal language of instruction in Šibenik’s schools. 1895 Thanks to ambitious mayor Šupuk, who builds a power station on the river Krka, Šibenik is one of the first towns in Europe to get an electricity supply. 1918-1920 Italian troops occupy Šibenik, until forced to leave by the terms of the Rapallo Treaty. Šibenik subsequently forms part of the newly-created Kingdom of Slovenes, Croats and Serbs (later renamed Yugoslavia). 1925 Šibenik is connected to the rest of Croatia by railway. 1941-1944 Šibenik is occupied first by Italians then Germans. Šibenik is liberated by the First Dalmatian Partisan Brigade. 1945 Croatia becomes a federal republic in a communist-controlled Yugoslavia. 1948 Stalin ejects Yugoslavia from the comintern bloc. 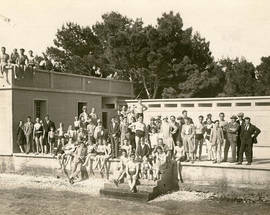 1950s-1960s Croatia’s Adriatic coast becomes a major European tourist destination. 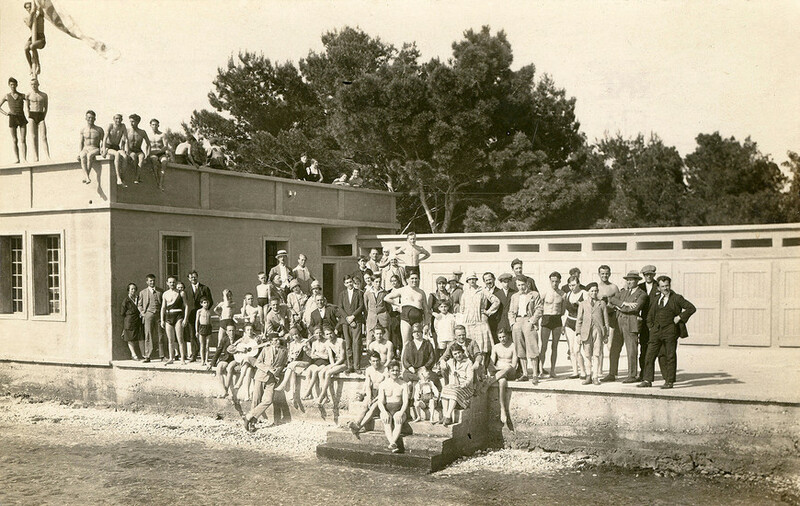 1958 The first ever Šibenik Children’s Festival is held. 1979 Fifteen-year-old basketball player Dražen Petrović makes his debut for local team Šibenka. Petrović goes on to win the European Player of the Year award six times before suffering a fatal car crash in 1993. 1980 Yugoslavia’s long-serving President Tito dies. A slow process of political disintegration sets in. 1990 Croatia holds its first free elections. 1991 Croatia declares its independence from Yugoslavia. 1991 Aided by the Yugoslav Peoples’ Army, Serbian forces take control of the region around Knin, placing Šibenik on the front line of the conflict. 1995 Croatian military victories bring the conflict to a close. 2000 Croatia’s post-independence tourism boom gets into full swing. 2005 The opening of the Zagreb-Split motorway places Šibenik only a few hours’ drive from the heartland of Central Europe. 2009 Croatia joins the NATO alliance. 2011 The first Terraneo Music Festival puts Šibenik on the global rock map.